Ancient healers used the power of plants to heal both physical and spiritual ailments thousands of years ago. Today, the ancient practice of smudging is still widely used for such things as feeling stuck, negative, sluggish, or even depressed. Healers use smudging as a way to clear stagnant energy in your “field” which can include “your emotional, energetic, mental, spiritual or physical body, and your environment—whether it’s your home, office, or other physical space.” (1). Eastern philosophies contend that stagnant, negative energy can have harmful effects on your mental and physical state and can manifest into things like a general lack of joy or happiness and success, as well as physical pain and even disease. 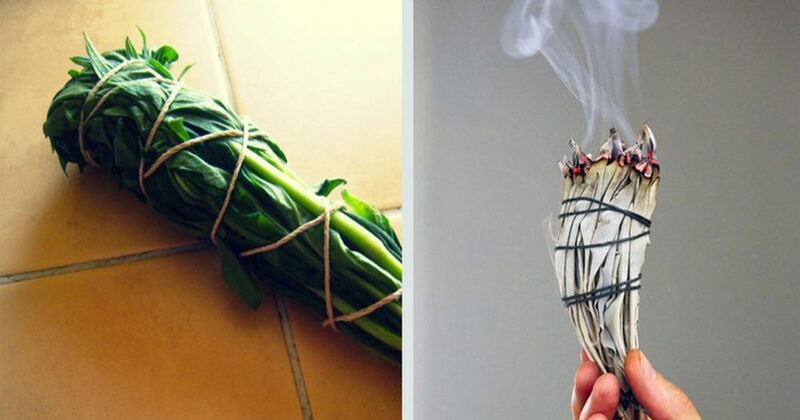 While smudging is not something your conventional doctor will likely suggest, traditional healers swear by this ancient practice of burning specific plants for various ailments and conditions. It is also widely accepted among Eastern and Native American healers as a way to connect with the spiritual world. What types of plants you use to clear a space depends on your location and what you have access to. For example, according to various Native American groups, people on the East coast typically use tobacco, cedar, sweet grass, juniper, pine needles, deerstongue, cypress, and sage, while West coast groups tend to use tobacco, pinion, desert sage, and sweet grass (2). Sage or any of the other sacred plants (see below). These represent the earth element. An abalone shell or clay dish. This will hold the burning plants. The shell represents the water element. Matches, which represent the wood element. A feather, which represents the air element. Drum-heavy music, if you wish, which represents the beat of the heart. When you combined all the elements in a smudging ritual, it’s meant to attract harmony and balance into your space. You can either use a smudge stick, which is a bundle of herbs that are dried and braided into a stick or you can use loose herbs. Before you start, start your music and open a window or door to avoid setting off your fire alarm. Place the smudge stick or loose herbs in the abalone shell, or a clay bowl, and light them. Set alight, and gently blow out the flame to allow the material to continue to smolder. Next, metaphorically cleanse, brush or wash your hands in the smoke. Bring the smoke over your eyes, ears, mouth, hands, heart, and body. Some people will also brush it over their backs, to “lighten their troubles.” Walk from room to room, fanning the smoke with the feather to thoroughly cleanse your home of any negative or stagnant energy. Be careful not to drop the ashes. When you have finished cleansing your home, let the herbs burn out. Since Native Americans believe the negative energy must go somewhere, it’s best to dispose of them outside and give them back to the Earth. Clip the branches and stems of your chosen herbs into similarly sized lengths (7-10 inches is typically a good length). Remove any yellow or spotted leaves. Also, anything you use to bind the bundle will eventually burn, so only use natural, non-toxic materials, like undyed hemp string. You’ll need a piece of string 4 times the length of your herbs. Thick bundles smolder slower so make them nice and thick. Tie a tight knot around the stems to secure the bunch and then wrap your string around the stems several times and then tie another knot to secure. Grasp your herbs with one hand and then wind the string on an angle from the base up to the tip of the bundle. Use only enough string to prevent the leaves from falling out. Now, turn the bundle around and direct the string back to the stems, creating a criss-cross pattern. If you choose, you can wind the string up and down again, retracing the same path, or you can bind it off with one pass. Make sure to use plenty of string around the base of the bundle to create a grip. Also, tie off and clip any loose strings to create a neat and finished look. Set the bundles aside to dry in a dark area on a drying screen with plenty of air circulation for 7-10 days or more depending on your herbs. You can also hang the bundles using thin wires or hooks wedged underneath your makeshift handles. Once your bundles are completely dry you can start to use them. If you’re using dried herbs, skip this step. Typically, smudge sticks contain sacred plants, but you can use an array of different herbs and plants depending on your personal choice and specific needs. Here are just some of the plants typically used to make smudge sticks and the ailments or conditions they treat (4). 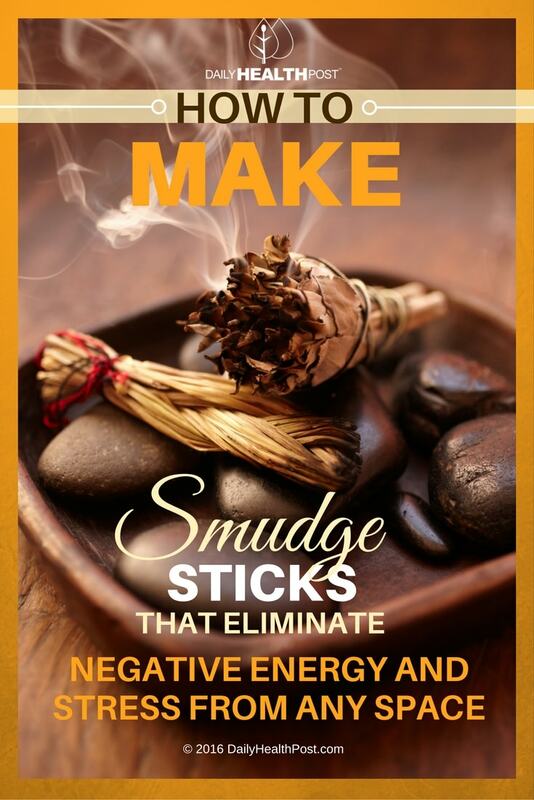 Make your own combination and let the smudge stick (and your worries) burn!